2014 was one of the most difficult years in the contemporary history of Ukraine in both political and economic terms. The country lived through the Revolution of Dignity in February, the annexation of Crimea in March, the ongoing military conflict in eastern Ukraine and deep financial and economic crisis. In order to counter these difficulties and to prevent foreign capital outflow from Ukraine, the state has implemented a series of unpopular regulatory measures. They have significantly changed the legal framework for doing business in Ukraine, primarily in relation to tax, customs duties and foreign currency rules. A long list of changes introduced by the state so far includes a war tax, additional import duty, increase of the royalties on gas production and other regulatory measures in the energy sector, restrictions affecting the repatriation of dividends by foreign investors and repatriation of funds received by foreign investors due to the sale of equity interests in Ukrainian companies. Needless to say, these state measures have influenced business activities of foreign companies in Ukraine and also investors’ rights under Ukrainian investment treaties. 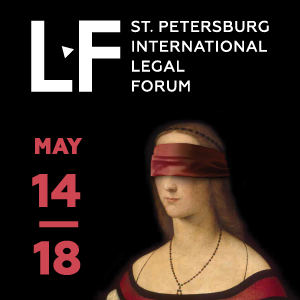 In particular, the measures have already led to several arbitrations against Ukraine initiated in the beginning of 2015 and may potentially cause new claims in the future. Ukraine began the year 2014 with an impressive burden of pending arbitrations involving state bodies or the state. Ukraine disclosed some details of these cases in the Resolution of the Cabinet of Ministers of Ukraine No. 595-p of 25 June 2014, official information on public procurement of legal services and the Eurobond emission prospectus. Below is a short summary of these cases. One of the biggest investment treaty arbitrations in Ukrainian history is the ad hoc arbitration OJSC Tatneft v Ukraine under the UNCITRAL Arbitration Rules with $2.4bn at stake. In 2008 Russian company OJSC Tatneft initiated arbitral proceedings pursuant to the Russia-Ukraine BIT with regard to its corporate rights in the Ukrainian company JSC Ukrtatnafta which controls the biggest Ukrainian oil refinery. Tatneft claimed that together with other foreign shareholders in JSC Ukrtatnafta it had been deprived of the right to effectively control its investments. On 29 July 2014 the Arbitral Tribunal issued a $112m award against Ukraine. It established that Ukraine had violated its obligations under the Russia-Ukraine BIT through the forced takeover of the refinery by state bailiffs and court proceedings resulting in losing Tatneft’s shares in JSC Ukrtatnafta. However, in August 2014 Ukraine filed a claim in the Paris Court of Appeal in order to set aside the award in favour of Russian oil company Tatneft. The case is still pending. This ICC Arbitration started in 2009, when Italian companies Torno Global Consulting S.p.a and Beta Funding S.r.I. brought a €47m contract claim against the Ministry of Transport and Communications of Ukraine and the State Road Service of Ukraine. The proceedings were commenced under the General Agreement on Cooperation in Reconstruction and Exploitation of Auto-road М-05 Kyiv-Odessa of 8 October 2003. The arbitration proceedings are still pending. In April 2013 Korlea Invest a.s., a company registered in Slovakia, initiated arbitration proceedings in the Vienna International Arbitral Centre (VIAC) against State Foreign Trade Company “Ukrinterenergo”, State Enterprise NPC “UKRENERGO” and the Ministry of Energy and the Coal Industry of Ukraine. Korlea Invest is claiming €34.5m in compensation on account of damages caused by the improper performance of the contract concluded by SFTC “Ukrinterenergo”and Korlea Invest for electrical energy supply from the United Energy System of Ukraine. In addition, in April 2013 another company Ukrenergy Trade ZRT registered in Hungary started arbitration proceedings in the VIAC against State Foreign Trade Company “Ukrinterenergo,” State Enterprise NPC “UKRENERGO” and the Ministry of Energy and the Coal Industry of Ukraine. Ukrenergy Trade ZRT is claiming €236.8m in compensation on account of damages caused by improper performance of two contracts for electrical energy supply from the United Energy System of Ukraine to Hungary and Romania. The arbitration proceedings in both cases are still pending. In accordance with the statistical data provided by the UNCTAD Ukraine was one of the most frequent respondents in the world in 2014 (after Spain), having shared second place with Costa Rica, the Czech Republic, India, Romania and the Bolivarian Republic of Venezuela (with two new cases against each state). 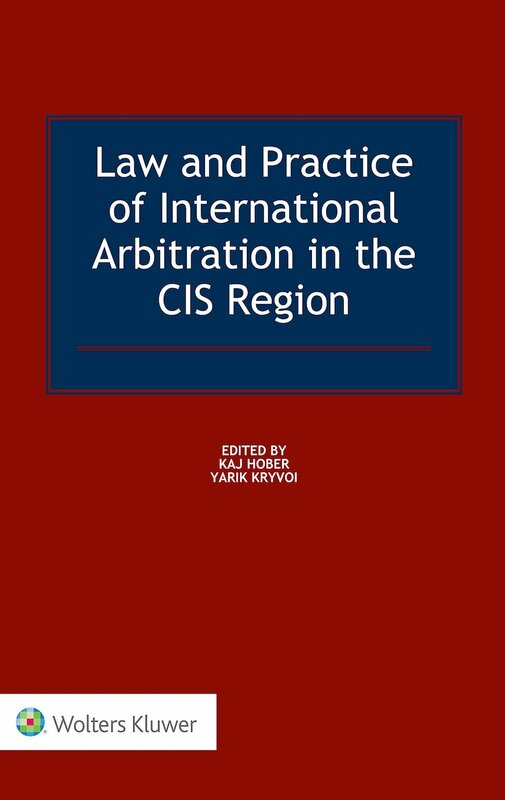 On 24 April 2014 the ICSID Secretary-General registered the request for the institution of arbitration proceedings in case No. 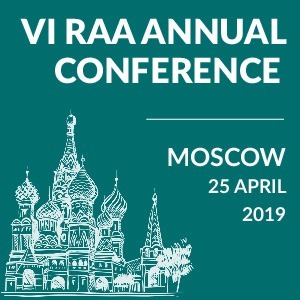 ARB/14/9 brought by Dutch company City-State N.V. and Ukrainian entities Praktyka Asset Management Company LLC (Praktyka), Crystal-Invest LLC and Prodiz LLC against Ukraine. 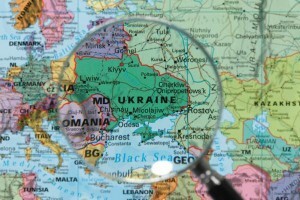 The companies initiated proceedings in accordance with the Netherlands–Ukraine BIT. Dutch depositors in Ukrainian bank PJSC Kredytprombank assert that the state did nothing to protect the bank deposit of Praktyka made under the respective bank deposit contract between PJSC Kredytprombank and Praktyka and claim UAH267.7m in compensation. As reported by mass-media, in 2010 City-State established a deposit scheme in Kredytprombank in the form of a venture fund maintained by Praktyka, its subsidiary. City-State claims that in 2013 Kredytprombank terminated all interest payments on the deposit and offered to return only 20 per cent of it or pay nothing. The fund turned to the National Bank of Ukraine in order to appoint an administrator to protect Kredytprombank’s depositors in accordance with Ukrainian legislation. However, the National Bank of Ukraine and other state agencies did nothing. Therefore, on behalf of the fund’s investors Praktyka filed a claim at the Kyiv City Commercial Court to prevent the artificial bankruptcy of Kredytprombank. Both the Kyiv City Commercial Court and the Kyiv Appellate Commercial Court rejected the claims of Praktyka. In the ICSID case the investors claim that Ukraine violated the Netherlands–Ukraine BIT, among other things, by failure to implement proper regulatory supervision by the Ukrainian financial authorities and through government interference in the court proceedings. The proceedings are pending; the Tribunal issued Procedural Order No. 1 concerning procedural matters on 5 March 2015. On 21 July 2014 British investor Krederi Ltd. started arbitration proceedings against Ukraine in ICSID case No. ARB/14/17. The investor brought the claims under the Ukraine-United Kingdom BIT. In particular, it alleges the expropriation of a land plot in the city of Kyiv owned by the investor’s subsidiary Konviva LLC. According to news reports, the alleged expropriation took place by means of four court judgments annulling contracts on the acquisition of the land. The investor also claims that the respective court judgments violated the Ukraine-United Kingdom BIT obligations to provide fair and equitable treatment and full protection and security to foreign investors. The amount of the claim is $120m. The case is still pending; the Tribunal issued Procedural Order No. 1 concerning procedural matters on 5 March 2015. As reported by GAR, energy company JKX Oil & Gas and its Dutch and Ukrainian subsidiaries filed claims against Ukraine in three different investment arbitration cases. 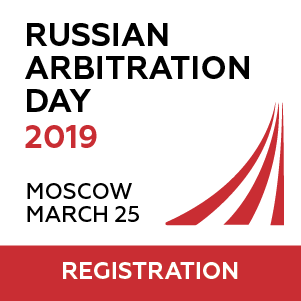 In particular, on 16 February 2015 the parent UK-based company initiated investment arbitration in accordance with the UK-Ukraine BIT in ad hoc arbitration under UNCITRAL Rules. On the same date its Dutch and Ukrainian subsidiaries started arbitration proceedings according to the Netherlands-Ukraine BIT in the ICSID. Earlier on 13 February 2015 all three companies launched investment arbitration against Ukraine in the Stockholm Chamber of Commerce under the Energy Charter Treaty (“ECT”) provisions and used the Emergency Arbitrator provisions under the SCC Rules 2010. On 14 January 2015 the emergency arbitrator provided for an interim award prohibiting Ukraine from imposing royalties exceeding 28 per cent on gas production by JKX during the SCC proceedings. Currently, the claimants are seeking recognition and enforcement of that interim award in Ukraine, and the hearing is scheduled for 25 May 2015. The claims exceed $180m and deal, in particular, with rental fees that JKX’s Ukrainian subsidiary spent on gas and oil production since 2011. In addition the claimants claim compensation for measures adopted by Ukraine in response to the current difficult economic and political situation caused by the conflict with Russia. These include increase of the royalties on gas production to 55 per cent; exclusive authority of state-owned company Naftogaz to sell the gas to private parties; prohibition against repatriatiation of dividends imposed on foreign companies; and other restrictions on foreign cash transactions. According to several news reports at least one more investment case may commence against Ukraine in 2015. On 31 December 2014 three Cypriot companies Littop Enterprises Limited, Dridgemont Ventures Limited and Bordo Management Limited, being the minor shareholders in Ukrainian PJSC Ukrnafta, sent a Notification of Dispute under the ECT to the Ukrainian authorities. The companies claimed that Ukrnafta “has been the subject of persistent and damaging interference in its operations by Ukraine”. In particular, they allege that Ukraine violated the ECT by repeated attempts to force the sale of gas at a price below production costs during 2006-2014, preventing them from selling surplus natural gas on the open market during 2006-2010 and expropriation of gas belonging to Ukrnafta during 2006-2010. In accordance with the letter these actions constitute multiple breaches of the ECT that resulted in the Cypriot companies’ losses of over $5bn. In total, as of May 2015 Ukraine is facing eight pending cases against it or its state bodies and one potential arbitration. According to the UNCTAD report published in February 2015 Ukraine shares 8th place with India in the rating of respondent countries with known investment treaty claims (with 16 cases against each state). With this, Ukraine has already regained the title of most frequent respondent in the CIS region lost a couple of years ago.